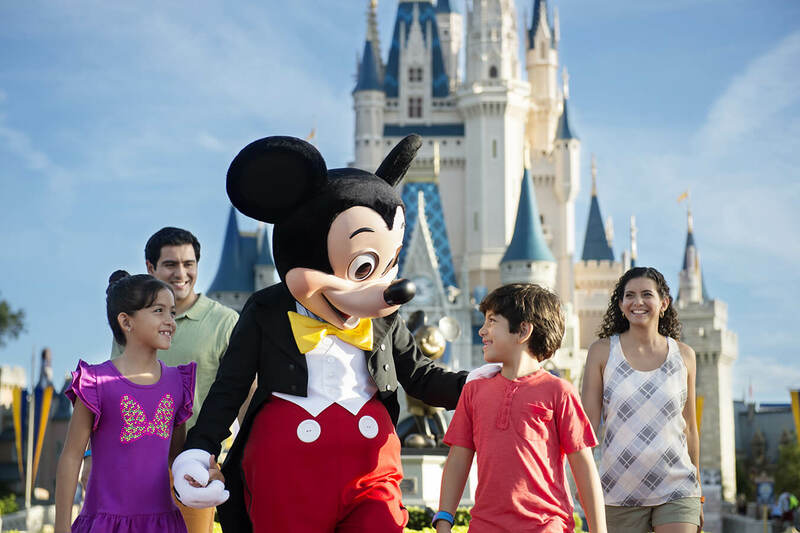 Whether you’re heading for a day out at the theme parks, or for an evening of entertainment at Disney Springs, travelling around Disney World is fun and easy when you use their complimentary transport network! All of the major Disney Resort hotels are connected to the theme parks, water parks and Disney Springs by boats, buses and monorails – and they’re FREE for all Disney-goers to use! 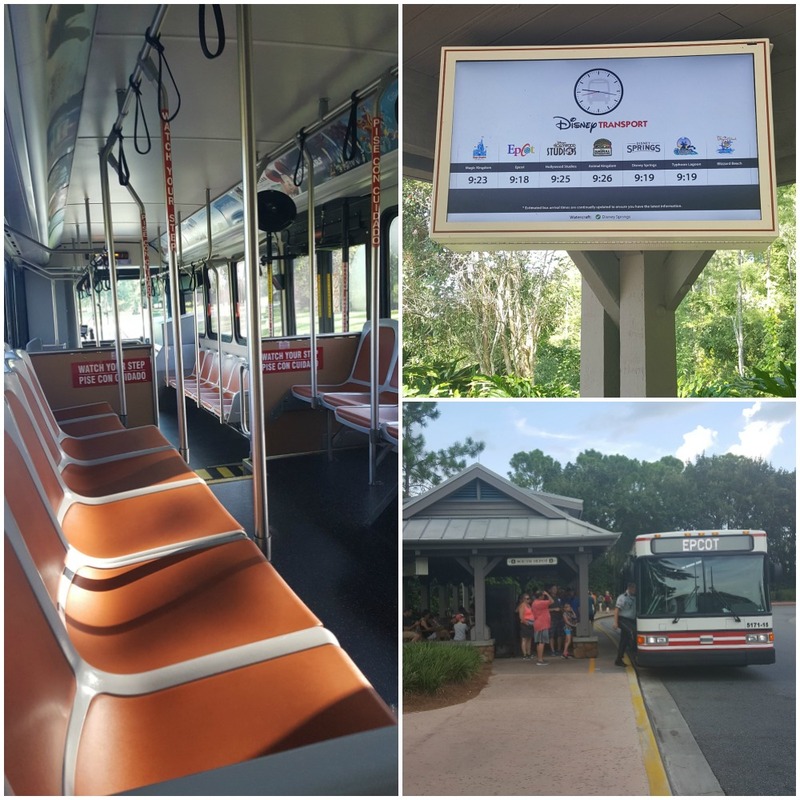 All the major Disney areas are accessible by bus, which makes this one of the most popular ways to get around Walt Disney World Resort. They’re also fully air conditioned, which can feel like a godsend after a day in the Florida heat! Buses usually start operating from around 45 minutes before a theme park opens, up until an hour after it closes. Buses between Disney Springs and Disney Resort hotels run a little later (until around 2am – depending on the season) so there’s no need to worry about getting back if you’re heading for a late night on the town! The Disney buses are usually busier first thing in the morning and directly after a park closes, so make sure you take this into account if you need to be somewhere for a specific time. Some hotels don’t run a direct service to the water parks or other hotels, so you may need to transfer from one bus to another. For example: if you’re travelling to Blizzard Beach Water Park, you may need to catch a bus to Animal Kingdom first, then transfer onto another bus for Blizzard Beach. Some of the larger hotels have more than one bus stop, so check which one is closest to you! You can also catch an express monorail service from the Transportation and Ticket Center to Epcot. The Disney Monorails usually operate from 30 minutes before the first Disney Park opens, until one hour after the last park closes. Arguably the most fun mode of transport! Sit back and relax as you sail to your next Disney destination by boat. 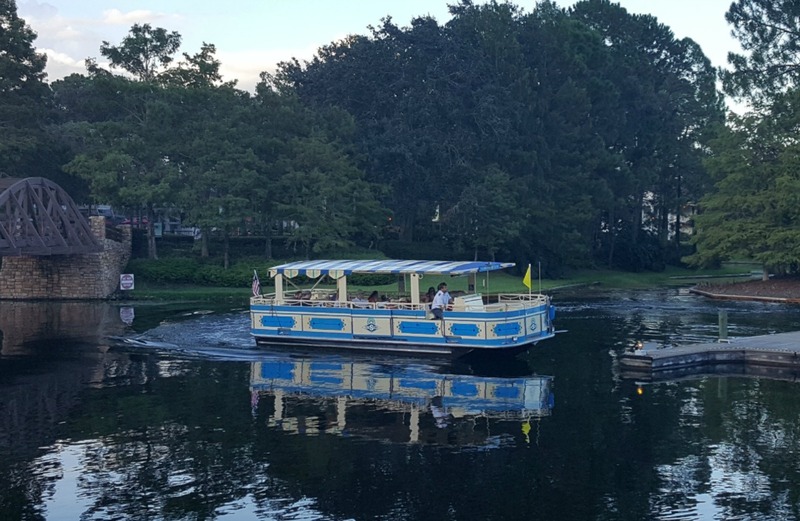 If you’re staying near Epcot or the Magic Kingdom, you may be able to travel from your hotel to these parks by ferryboat. Boat services may be affected by the weather, so always plan a backup way to travel in case of storms. One important thing to remember if you’re staying at a Disney Resort hotel is that you’ll never be left stranded! 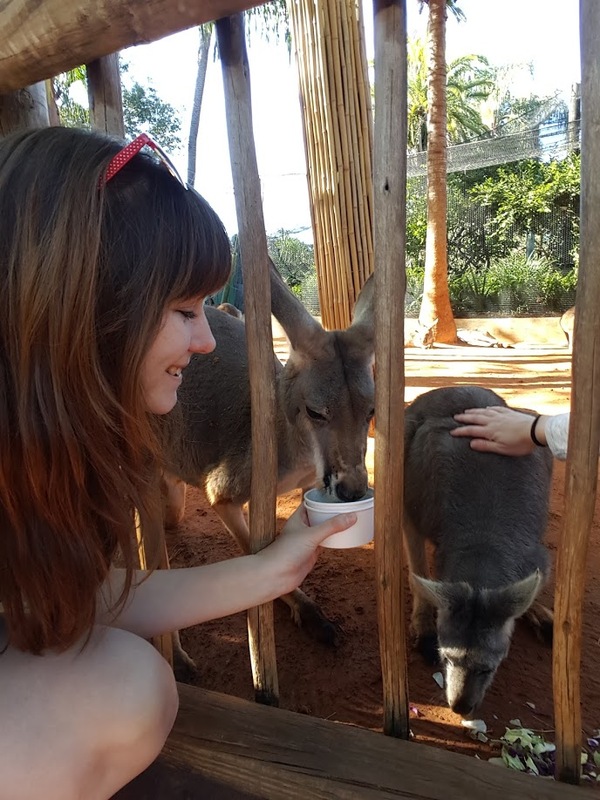 If you think you’ve missed the last bus back to your hotel, just speak to a cast member outside the park and they’ll be happy to help you find an alternative route home.